Mary Soder, age 76, of Grayslake passed away Tuesday, July 26, 2016, at Advocate Condell Medical Center in Libertyville. She was born October 12, 1939. A member of St. Mary of the Annunciation Church in Mundelein, Mary was also active in the Exchangettes Club, Grayslake Park District, and St. Mary’s Church. She was a retired Office Manager at Country Companies. 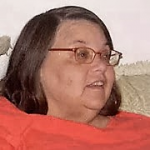 Mary is survived by her children, Lynn (Rich) Legner, Scott, Pamela (Rob) Saam, Veronica Fisher, Don Fisher, Denise Hughes, David (Christi) Fisher, Karen (Larry) Hildebrandt, 22 grandchildren, 21great-grandchildren, and one brother, Marty (Pat) Heischberg. She was predeceased by her husband, Theodore, her parents, two children, Cherie and Ted and five siblings. Friends of the family may visit from 9:00 a.m. until 11:00 a.m. on Saturday, July 30, 2016 at St. Mary of the Annunciation Church, 22333 West Erhart Road, Mundelein, IL 60060. The funeral mass is scheduled for 11:00 a.m., Saturday, July 30, 2016 at St. Mary’s. Memorial donations may be made to St. Mary of the Annunciation Church at the address above or to the Exchangettes, Attn: Pat Stirrat, 560 Barron Rd, Grayslake, IL 60030. Arrangements were entrusted to Strang Funeral Chapel & Crematorium, 410 E. Belvidere Road, Grayslake, IL. For information, call 847-223-8122 or log on to www.strangfuneral.org. In lieu of flowers, the family is accepting donations to offset final costs. 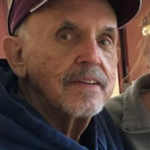 Bryce William Carus, 76, a resident of Grayslake, IL, passed away July 6, 2016 at Burr Oak Manor in Genoa City, WI. He was born September 14, 1939 in Chicago, IL. He received his BA degree in Engineering from the University of Illinois, began his career at Stewart-Warner and retired from Alcatel-Lucent. Bryce loved to roller skate and was a regular feature at the Round Lake Roller Rink for many years. Bryce is survived by his wife of 45 years, Mary, whom he married at St. Gilbert Church in Grayslake. Other survivors are his much-loved children, Kristen (Greg) Gomez, Sinead Carus, Sean (Diane) Carus, and his grandchildren, Joseph and Brendan Gomez. He will be greatly missed by his family and many friends. Memorial may be made to the Salvation Army or the American Cancer Society. Kathleen Ann Crowley, age 76, of Round Lake, passed away at her home on Tuesday, July 12, 2016. She was born June 30, 1940 in Chicago to Walter and Kathryn (nee Kuehner) Crowley. Kathy loved the Blackhawks. She also loved to crochet and loved to bake and make cookies. Kathy had a very generous heart. She is survived by her siblings, William (Claudia) of Highland Park; brother-in-law, Robert Silvestri; nieces, Christine (Gary) Johnson of Round Lake, Laura (Michael) Gonzalez of Lindenhurst, and Michelle Silvestri of Mundelein; and great-nieces, Jacquie (Vadim) Silvestri of Gurnee ; Missy Gonzalez of Mundelein; and Toni Johnson of Round Lake. She was preceded in death by her parents and her sister, Mary Ann Silvestri. Memorial contributions may be made to St. Jude’s Children’s Hospital. All arrangements were entrusted to Strang Funeral Chapel & Crematorium, 410 East Belvidere Road, Grayslake, IL 60030. For information, call 847-223-8122 or visit www.strangfuneral.org. Michelle Kowalski-Helle, age 57, a resident of Grayslake, passed away Friday, July 8, 2016. She was born March 5, 1959 in Southampton, PA. She was an architect and mother. Michelle is survived by her husband, Robert H. Helle whom she married on September 16, 1989; daughter, Emily; son, Andrew; brother, Nick; sisters, Celeste and Lisa. She was preceded in death by her mother, Helen; and father, Andrew. Michelle was born in Pennsylvania, the oldest of four children. She graduated from the University of Notre Dame as an architect. As a young girl she knew she would go there, despite the fact that it was not open to women. She was very proud to be part of the fifth class of women admitted to Notre Dame. There she met the love of her life, her husband Bob. She worked as an architect in Chicago until Emily arrived, and the family relocated to Prairie Crossing in Grayslake shortly after Andrew came along. Everything Michelle did, she did beautifully and with passion; cooking, knitting, quilting, gardening, and designing. She was deeply committed to her family, a wonderful listener, a devoted sister, and a dear friend to many. A visitation will be held at Strang Funeral Chapel & Crematorium 410 E. Belvidere Rd. Grayslake, IL 60030 on Tuesday, July 12, 2016 from 4:00 p.m. until 8:00 p.m. Friends and family will meet at church on Wednesday, July 13, 2016 at St. Paul the Apostle Catholic Church, 6401 Gages Lake Road, Gurnee, IL 60031 for a 10:30 a.m. funeral mass. Interment will be at Cedar Grove Cemetery, University of Notre Dame, Notre Dame, IN at 1:00 p.m. eastern or 12pm noon central, Thursday, July 14, 2016. In lieu of flowers memorial donations may be made to Literature For All Of Us, 2010 Dewey Ave., Evanston, IL 60201 or www.literatureforallofus.org. For more information please call (847)223-8122 or log onto www.strangfuneral.org. Robert W. Lowery of Wildwood, IL was born in St. Louis on May 25, 1953. He passed away Saturday, July 9, 2016 at home after his courageous battle with cancer. Bob is survived by his loving wife of 17 years, Marilyn (nee Burtscher) Lowery; his brother Milton James Lowery Jr. (Barbara), his sisters Mary Catherine Zeilmann, Margaret Ann Ellison (John), and Dr. Carol Rose Lowery, as well as several nieces and nephews. Bob was preceded in death by his parents, Milton James and Mary Lorene (nee Cantrell) Lowery and brothers-in-law Clarence (“Red”) Zeilmann and John Rotter. Bob was a loving and devoted husband to Marilyn, and a wonderful father to their adopted Australian Shepherd, Shelby. Bob had been on medical retirement from Cardinal Health since 2013. As a 23-year heart transplant survivor, Bob faced countless medical challenges over the years. He faced those challenges with courage, tenacity, strength of spirit, perseverance, and unfailing good humor, for which he was admired, loved, and will always be remembered. As a young man, Bob joined VISTA as a volunteer to work on the Native American reservations in Nebraska. His concern for those who can’t speak for themselves made him a strong life-long supporter of animal rights and a confirmed dog lover. Bob was also an avid Blackhawks, Bears, and White Sox fan. Visitation Thursday, July 14, 2016, from 4:00 p.m. to 7:00 p.m. followed by a memorial service honoring Bob’s life to be held at Strang Funeral Chapel & Crematorium, 410 East Belvidere Rd, Grayslake, IL 60030, 847-223-8122.